The cost incurred for recovering the data from a hard drive might range from a few hundred dollars to a few thousand depending on the nature of the situation. 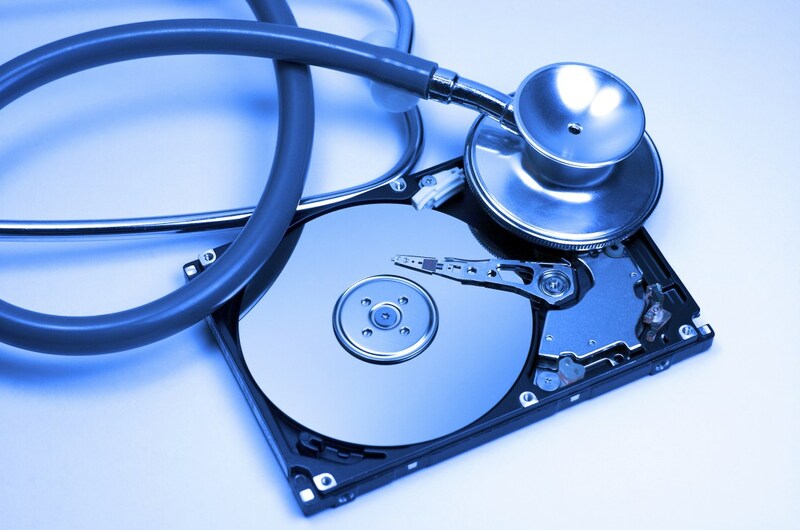 The hard drive has to be thoroughly examined to estimate the cost of recovery. Companies have a general market rate of $1 per GB which might not be applicable in all circumstances. The data recovery cost varies according to the severity of the damage to the hard drive and the amount of data to be recovered from it. How much is hard drive data recovery? The data recovery cost of a hard drive data recovery varies based on the amount of data in the hard drive, the total number of parts that are to be replaced or rebuilt, the total duration of work to recover the data, and previous attempts of recovery if any. The data recovery service cannot be defined with a flat rate as the process varies depending on the condition of the hard drive. How much is Wondershare data recovery? The Wondershare data recovery software is a highly useful tool for recovering data from hard drives. It is one of the highly sought data recovery software that costs lesser than half the amount that it takes to recover the same amount of data from a recovering agency. The data recovery cost of the application is around $49.95 for Windows and $89.95 for Mac operating systems. What is RAID data recovery? It is the process of recovering and restoring the data present on a RAID storage architecture. The process is more complicated when compared to a standard data recovery system as it involves a sophisticated technology of extruding and storing data. The method is applicable for all RAID levels to recover the data lost as a result of technical glitches. The VMware data recovery is an application that backs up the user data from time to time enabling easy retrieval in the future. The software creates backups in regular intervals and also replaces existing or redundant data as time passes. The software utilizes a virtual machine application coupled with an integrated client plug-in to store and manage data and its recovery virtually. The backed up data can be store on any drive to restore it later. What is most important when considering data recovery? Data recovery is one of those processes that will drill a massive hole in your wallet when done without proper analysis. The most important factors deciding the data recovery operation must include the factors such as the targeted data to be recovered from the disk, time frame for retrieving the data, objective of the recovery operation and so on. A wise decision before deciding the required data for recovery is highly essential to save time and money. What is Stellar Phoenix Mac data recovery? The Stellar Phoenix Mac Data Recovery is a recovery software developed specially for the Mac operating system by Stellar Data Recovery. This sophisticated software can be utilized to retrieve data from hard drives with encryption, external storage devices, and also from internal hard drives. Available in two versions, the professional version is crafted to recover deleted data while the platinum version is developed for lost and corrupt data recovery. The software is not only limited to Mac devices but also available for Windows OS as a different package. What is EaseUS data recovery wizard? It is a spectacular data recovery software that is free and capable of recovering varied files lost in different conditions. The software is capable of recovering data from flash drives, memory sticks, and hard disks that are lost due to accidental formatting or deletion. Damaged drives can also be retrieved using the EaseUS Data Recovery Wizard. The software has advanced techniques to quickly recover the data from the drives. A free trial version of the software is available for one month, which can restore a limited amount of data with a few restrictions. What is Android data recovery? The process of recovering the lost or corrupted data from devices operating on the Android operating system is termed as Android Data Recovery. The process can be carried out using various online and offline tools that use a set of sophisticated technology to retrieve the lost or corrupt data from smartphones and tablets. The Android Data Recovery software also features an option to recover the lost messages sent or received on the Android device. Why is data recovery so expensive? The high pricing for the data recovery operation is because of the complexity of the process of retrieving the data from the device. The process involves intensive steps that are highly time-consuming and require equipment that operates on extensive technology. The updating data recovery cost of the equipment is comparatively higher than other software processes in the market. Keeping in mind the difficulty in running a sophisticated operation and the amount of time invested, the data recovery processes are always expensive. Is Data Recovery Pro safe? The speculations about the Data Recovery Pro software have always been around in the technical arena due to the lack of proper functioning even after purchasing the full version. There are numerous complaints on a large number of forums from furious consumers highlighting the fatal failure of the product in sensing and recovering lost data. The trial version or the free version claims to be free software but does not recover files as expected or quoted on the product. Considering all the speculations, it is not advisable to purchase this particular software. Is iCare Data Recovery free? The iCare Data Recovery software is available in both free and paid versions from the manufacturer. The free version is crafted for non-workstation usage with an unlimited amount of data recovery. This version is capable of retrieving basic data from the computer and storage devices such as images, audio & video files with over 600 supported file formats. The significant difference between the free and paid version is the ability to recover data from Exfat supported media devices and the use for commercial purposes. The paid version is available at a data recovery cost of $69.99 per year. The paid version is supported by lifetime auto-update facility with enhanced customer support. 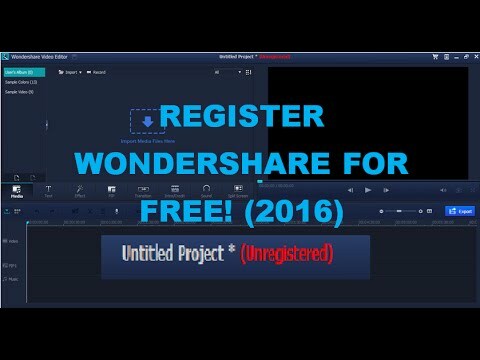 How to register for Wondershare? 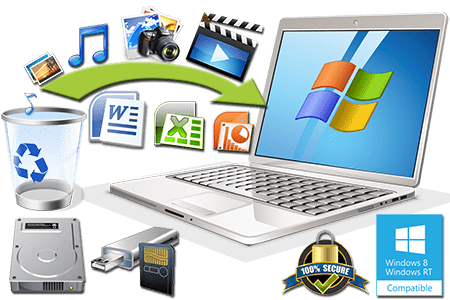 The Wondershare data recovery software is a professional data recovery platform that allows the user to recover a wide range of files from varied media devices. Switch ON the computer by plugging in the power cable. Open the web browser and search for the Wondershare data recovery software. Click on the manufacturer’s site and unveil the available versions for download. Choose the correct operating system and download the file from the website. Ensure that you have downloaded the paid version and run the setup file. Once the software is installed, open it and feed the necessary data. Make sure that the correct email address and details are entered in the registration page. Check for the correct registration fee and opt for the feasible payment option. Pay the subscription fee using the secure payment portal. The subscription gets activated after getting re-directed from the payment portal. How to make a clean room for data recovery? The process of creating an evacuated environment to recover data safely from a hard drive is known as creating a clean room for Data Recovery. Make a four-walled box with a covered bottom using cardboard. Make two holes on the front facing side to accommodate your hands. Drill two holes on the sides, one for inserting the vacuum cleaner assembly and the other to attach a vacuum cover. Create piping to the front facing holes with the help of a ring-like object. Insert a bulb assembly on the right corner of the box to enable light that is required during operation. Cover up the top surface using a transparent material like a piece of plexiglass cut in the correct dimension. Attach flexible media such as a plastic cover to the holes on the front face to keep it sealed. Connect the light assembly to a battery for power supply. Ensure that the corners are well sealed with an all-purpose adhesive to create an inert environment. The clean room is now ready for handling the hard drive for recovery. How to run Syncios Data Recovery? The Syncios Data Recovery software is a dedicated data retrieval software for Apple devices. This specially customized tool enables recovery of files from the phone, iTunes backup for easy iPod data recovery and also to recover from iCloud backup. Switch ON the computer by using a power cord. Download the Syncios Data Recovery Software to the computer by searching from the web browser. Install the application on the computer. Connect the device to the computer using the USB cable in case of backup from a device. Select the Recover from iTunes backup option to recover from iTunes. Log into the iCloud account to retrieve files from the cloud storage. Run the scanner to scan for files from the selected source. Review the file and select the files to be retrieved. In case of an iTunes or iCloud backup, initially download and extract the backup file for previewing and selecting the files. The software is capable of recovering a varied type of files from the Apple devices. How does EaseUS data recovery work? The EaseUS data recovery software is a recovery tool that enables the user to retrieve files from computers and storage devices irrespective of the mode of data loss. Download the software on a supported computer. Install the software by following the visual guidelines. Run the application from the program list of the computer. Connect the external device to the computer if the recovery is to be done on it. Choose the disk drive or the external drive on the software dialog box. Click on the Scan option to search for all the deleted or erased files from the selected drive. A quick scan initiates to search for initial files. The software will automatically launch a deep scan to hunt for files in the drive. Select the files to be recovered from the list of discovered files. Click on the Recover button to retrieve back the files. The Wondershare data recovery software is a tool that can recover data from a hard drive or other media devices. Power up the computer using a power cord. Open the browser to search for Wondershare Data Recovery software. Choose the full / trial version of the software and download it. Install the software on the computer by running the setup file as an administrator. Open Wondershare Data Recovery from the list of available programs. Register with your email ID by creating an account. Subscribe to the membership by paying the fee in case of a full version. Select the disk to be scanned on the computer. The application will scan the files after you select the type of files to be scanned. Choose the files to be retrieved and click on the Restore option. How to use Minitool Power Data Recovery? The Minitool Power Data Recovery tool is a tool that recovers data lost in local hard drives, partitions, USB drives and compact discs. The software is easy to use with a few unique features. Open the web browser to look for the Minitool Power Data Recovery software. Choose the operating system and download the software on the computer. Install the tool on the computer’s hard drive. Run the application and register as a user. Choose the drive to be scanned for recovery from the list of drives on the computer. If an external device is to be scanned and restored, connect the device with the computer. The device automatically scans the deleted files from the selected drive. Choose the files to be recovered from the list. The tool offers various sorting and searching options to locate a particular file. Choose the directory to save the recovered file and click on the Save option. How to use iSkysoft data recovery? Looking out to recover files from a Mac device? The iSkysoft data Recovery tool is crafted to recover files from the Mac device using a very simple procedure. Switch on the Mac computer and launch the web browser. Search for the iSkysoft data recovery software on the Internet. Open the website and download the software to the computer. Install iSkysoft data recovery software on the Mac device. Run the application on the Mac computer and register using the credentials. The first window displays the file types that can be recovered using the software. Select the type of file that you are intending to retrieve using the tool. Choose the drive from which the selected format of the files is to be scanned for. The scan starts upon selecting the start option, and the software runs a complete scan on the chosen drive. The files that are found as the result of the scan are displayed, select the required files and click on the Recover option. How to use EaseUS Data Recovery Wizard Professional? The EaseUS Data Recovery Wizard Professional is a paid recovery software that allows limitless data recovery with a lifetime upgrade and technical support facility. Switch On the computer and download EaseUS Data Recovery Wizard Professional. Make the payment using a secure portal for the software. Download the file upon successful payment of $ 69.95 for the software. Install the downloaded file into the computer’s drive. Follow the visual guidelines to navigate through the installer and open the software. Utilize the first window to select the drive to be scanned for restoration. The tool features two scan modes, which occurs automatically one after the other. After extensive scanning, the list of recoverable files is shown on the prompt. Filter and select the files to be recovered. Click on the Restore option in the lower right corner to complete the process. How to use Power Data Recovery? Recover data from a wide range of internal and external storage devices with the aid of the Power Data Recovery software. Enable the power supply to the computer. Launch its browser to search Power Data Recovery tool on the Internet. Open the website and download the tool for the desired operating system. Run the setup file from the downloads folder to install the application on the computer. Feed the necessary data and register as a user in the Power Data Recovery Tool. The list of available internal and external drives available for scanning on the computer is displayed in the next step. Click on the Scan option to perform a complete scan on the selected drive for deleted, formatted or corrupted files. After the scan process, use the filters provided to select the particular files that are to be restored. Opt for the desired destination folder to save the data in it by clicking on the Save option. How to activate EaseUS Data Recovery Wizard Trial? The EaseUS Data Recovery Wizard Professional has a free trial version of the recovery software that allows file recovery from computers and storage devices using a computer. Open the web browser and download EaseUS Data Recovery Wizard. Open the downloaded file and run the setup file. Restart the computer and open the EaseUS Data Recovery Wizard. Choose the drive to be scanned as the wizard opens up. Connect the external storage device in case of an external device recovery operation. Utilize the scan option to initiate the initial scan. The wizard automatically runs an in-depth scan to discover more files. The list of files found by the scan is displayed. Choose the data to be retrieved and select the destination to save them. Complete the recovery process by clicking the Restore button. How to exit Recovery mode without losing data? The Apple devices might accidentally hang or stop in recovery mode during an update or due to other reasons. There are different ways to get out of this mode without losing the data on your device. A third party recovery software helps you in exiting the recovery mode without losing data on it. Download the application for your computer’s operating system. Install the package on the computer. Connect the device that is to be exited from the recovery mode. Establish a connection between the application and the iOS device. Select the Exit Recovery Mode option on the screen to exit safely without losing the data. The other way to exit from this mode is by utilizing iTunes. Establish a connection to iTunes and connect the Apple device. The Autodetect feature pops up showing the connected device in recovery mode. Choose the restore option form the screen to restore the data from the last iTunes backup. This feature is feasible only if the backup was created recently.